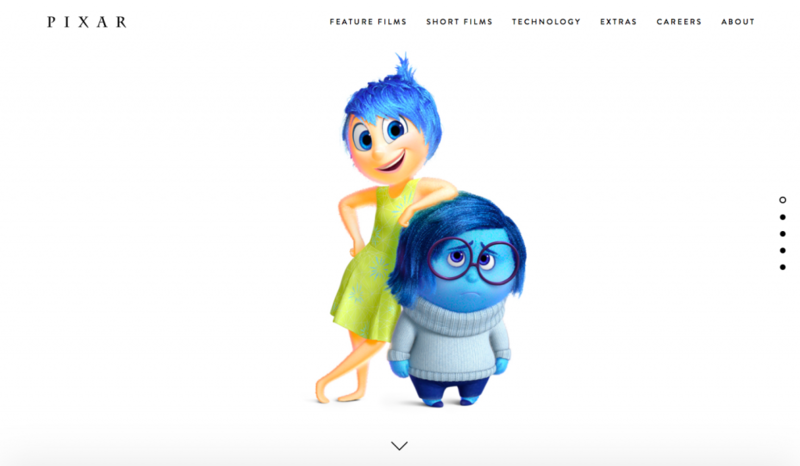 Pixar’s official website has gone through a few iterations over the years. It had been a bit out of date recently, though. Although the site listed past films that the studio has released, upcoming films (which are the ones that tend to generate a lot of interest) were missing. Also lacking was significant information about how the films were made. The website has now received a fresh new look, with a lot more information, images, concept art, and more. Take a peek at the beautiful new site after the break! 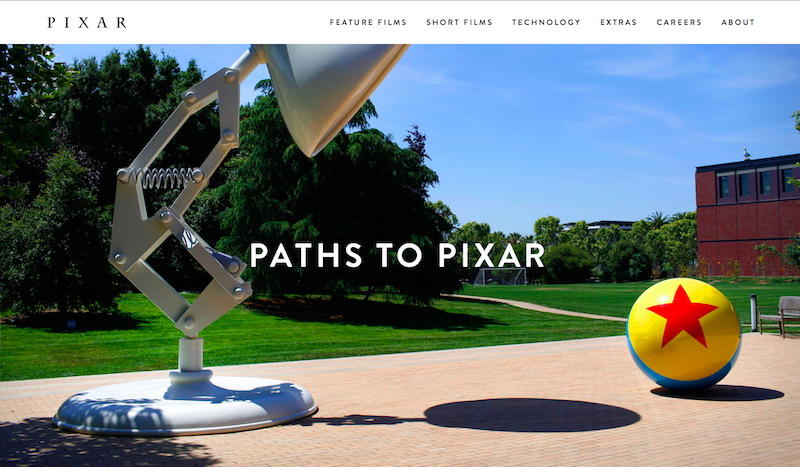 There is much more to see on the new Pixar.com. One of the most exciting additions is the extensive behind-the-scenes material for each of the studio’s previous films. Each film’s page is broken down into several sections – for example, Finding Dory‘s page is divided into a look at character design, world design, awards, and credits. Filling those sections are numerous videos, pieces of artwork, and stills for the film. You could spend a significant amount of time exploring everything the site has to offer. Also included are employee profiles and how some started working there. One of the most popular questions that people have about Pixar is how they can work there one day. Well, there are specific listings of available jobs, internships offered, and the path some employees took that ultimately led to them working on the Pixar campus. There is even a handy “Contact Us” page, which supplies a form that provides an easy avenue to reach out to the studio. As is noted, the studio does not accept story ideas, as all story ideas come from within the studio. So if you want to share an idea with Pixar about a film you want them to make, you are wasting your time. Still, you have plenty of other things to see, like how Toy Story, one of the best animated films ever, came to life. 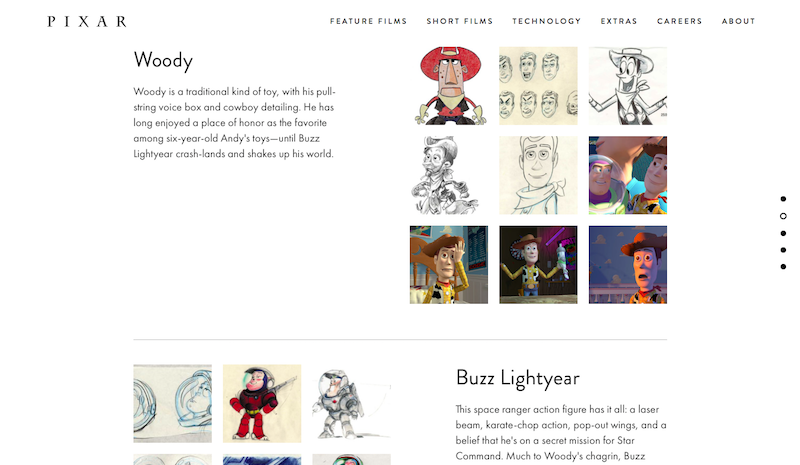 Head over to pixar.com to spend time learning from some of the best in the business when it comes to being creative.